Are you planning a slumber party for your New Year's Eve celebration? The winter months are a great time to stay indoors and plan a teen sleepover. We've found 9 new ideas for a sleepover that will make you the coolest party host ever! 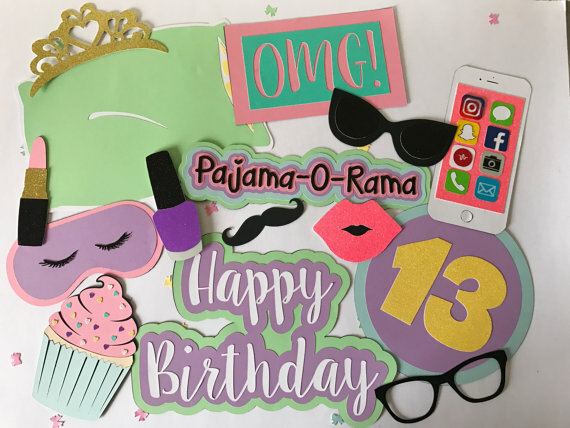 If you're planning a slumber party for 13, 14, 15, or 16 yr. olds, you'll find fun activities and themes to keep everyone happy and having a good time. Whether your 13 or 31, these New Year's Eve Sleepover Ideas will make your sleepover party the best one ever! All you need is you and some cash. No prep needed. Want something super special to do to celebrate the New Year? Pack your bags and gather the gang to spend the night at an Indoor Water Park like Big Splash in French Lick, Indiana pictured above. They offer rooms for up to 9 guests. 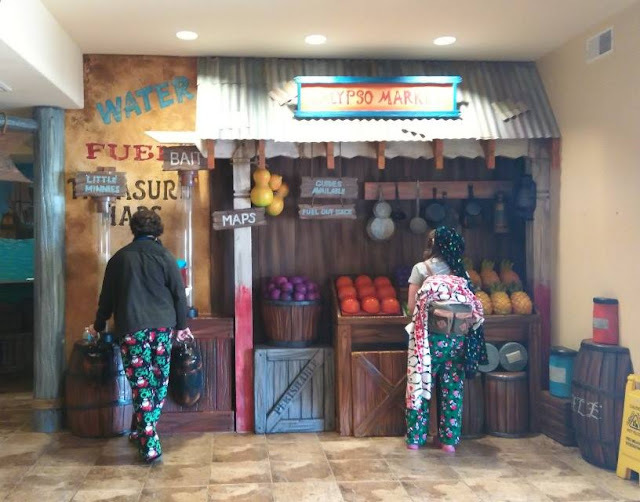 In addition to the water activities, there's also a game room with a Gyroball ride and a cafe. Wear cool pajamas and pack your bags for a night full of fun activities! No matter your age, the blindfold makeup challenge is a lot of fun. There are tons of videos out there. Join the fun and post yours to Instagram, #blindfoldmakeupchallenge. All you need are some blindfolds, a makeup kit, and willing participants. Snap a selfie of the gang after everyone's makeup is done. How fun is that? Got a basement or a big kitchen? A game of shaving cream Twister is a hoot. Roll out your official Twister Board or Make your own with a tarp. Just spray circles of shaving cream in the Twister pattern and add a drop of food coloring (mix it up to get the color) and then use the official spinner. No game, no spinner? That's okay, put all of the colors on cards and draw one on each turn to see what color to go to next. 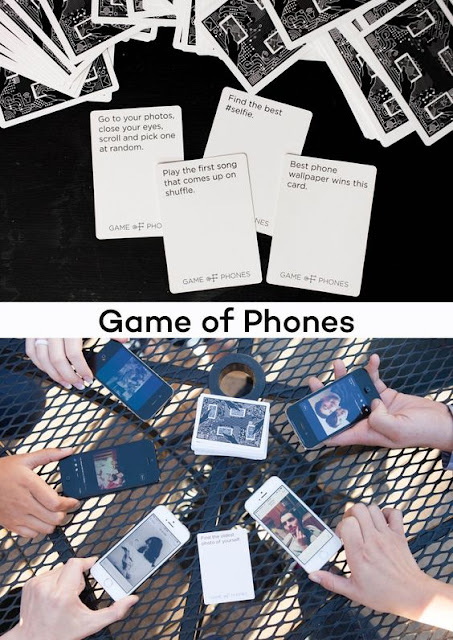 This is a cool game to play with cell phones. It can work with tablets too. Get the official version on Amazon, but you could easily make your own with some index cards and a Sharpie . Game of Phones: Image found on Pinterest, but original post is no longer valid. While we're on the subject of mobile phones, CMCraftStudios sells these adorable photo props for selfies. You can purchase a set for $60 or you can hop over to a hobby store or Walmart and get some cardstock and make your own. Grab you phones and take fun selfies of each other to memorialize the New Year, New You! 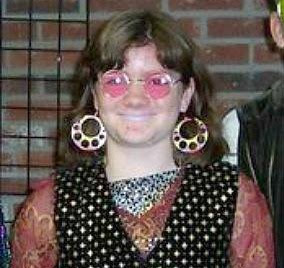 Get your photo props for selfies at CMCraftStudios on Etsy. Make it a poop theme! Before the party, bake some chocolate cupcakes and then give everyone a baggie of poop (plastic bag with chocolate icing) so they can poop on their cupcakes. Gross, but fun! Click here to make your own icing tubes. 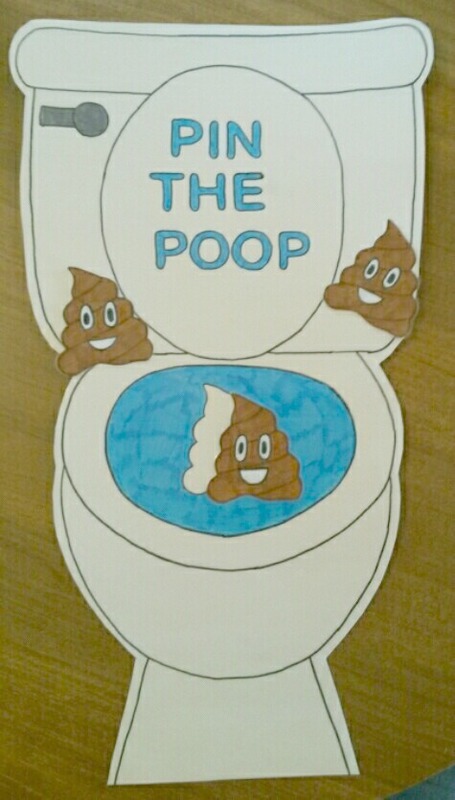 Get crafty and make a game of Pin the Poop as seen below. 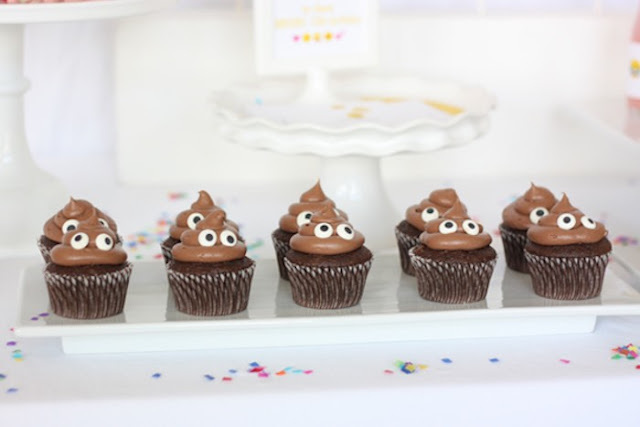 Poop Cupcakes from Kara's Party Ideas. Pin the Poop, uploaded to Pinterest by Heather Buller. Live in a warm climate? 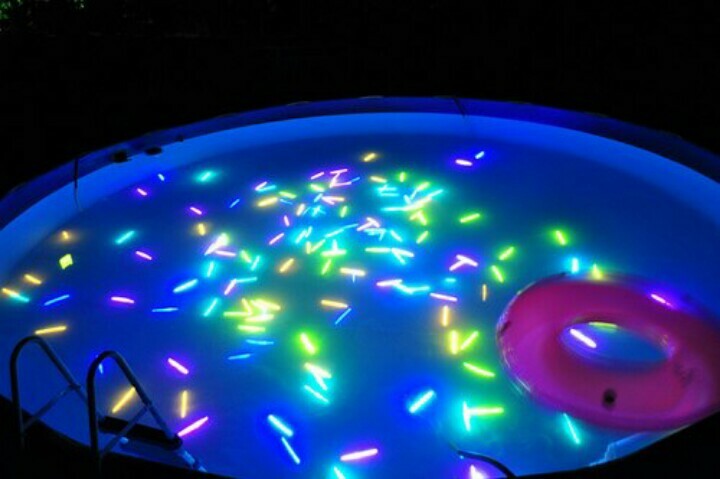 Try a Glow Stick Pool Party! If not, grab an inflatable pool or use your indoor hot tub to create a glowing experience perfect to highlight the New Year. Just fill your pool with activated glow sticks ! Glow Stick Party uploaded to Pinterest by Brittney Bartlett. Tents are a fun addition to any party. Add some twinkle lights to make it magical. Better yet, prep the tent forms and get Butcher paper or white sheets and have your guests decorate their own tents before pitching them for the night! Pillsbury has the best ideas for sleepover snacks. 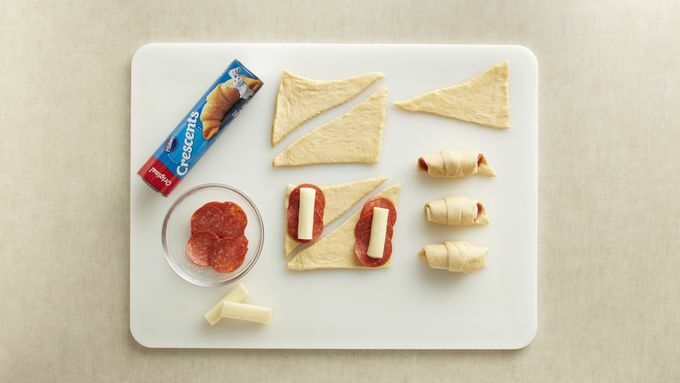 Everyone can make their own crescent pizzas with mozzarella cheese sticks! Have you tried any of these ideas for a New Year's Sleepover? Tell us about it in the comments. Keep up with all of our ideas, join thousands of others and follow Kids Creative Chaos on Instagram.